← what another post ? 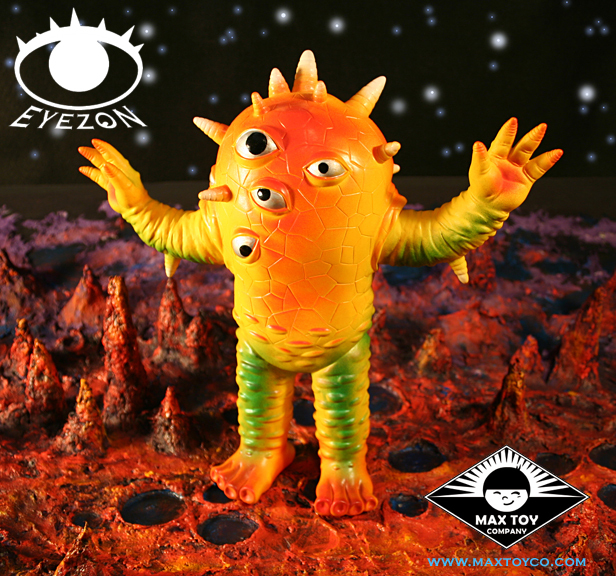 Kaiju Eyezon ! Been having fun photographing the new kaiju with a space background I made recently out of paper mache.. inspired by the major matt mason catalogs and ads i use to see growing up .. not many know that when I was growing up I use to make Super8 stop motion movies .. using 12 inch Gi Joe bodies covered with clay and stuff …and I use to build space scapes and mini mountian ranges to film these creatures on… in fact I even considered a career in film before realizing that art was my calling and joy. In fact even today I get the greatest bliss from creating the paintings that go along with these toys.. probably more than the actual toy (ha-ha) Do not get me wrong, it’s a thrill to see these things in 3-D, too.. but the old timer in me longs for the days of tin ray guns, black and white movies and oil paintings.